When it comes to wellbeing, focusing on the inside is just as important as what's on the outside. So for this week's Wellbeing Wednesday, we thought we'd focus on mental wellbeing. And what better thing to focus on than imposter syndrome? You know, that horrible feeling that maybe someone is going to catch you out, or that maybe you're not good enough to be where you are? Well the wonderful Donna and Cheryl from Now Is Your Time, might just be able to help. Their mission is to create a movement, that enables those who want to make positive changes, to live their dream life. Their coaching programmes help the people they work with get out of their own way, and achieve their goals. You get promoted and your first thought is, “Oh crap, what if I can’t do this and I everyone realises I just got lucky this time?”. You meet a great guy and you think, “Wow, he’s way too good for me!”. Someone gives you a great project to do and your first reaction is, “What if don’t know how to do what they want and then I manage to cobble something together and they hate it?!”. Your friend is so much more confident than you, “I can never be like her, she just oozes confidence,” you say to yourself. That’s alongside a constant stream of you telling yourself that you’re rubbish, lazy, hopeless, stupid, too fat, too thin, thick, over-sensitive and just generally not good enough..sound familiar? If any of the above sound familiar, there’s a very good chance you have Imposter Syndrome. You’re not alone because around 70-80% of women suffer from it at some point in their life to a certain degree. I should know, I was one of those women for a very long time! Everything I’ve said so far, are things I’ve said to myself in my own head at some point in my life, starting from a very young age. The constant stream of self doubt, lack of self appreciation and the constant whirring of the critical, cruel voice in my head has been quite honestly, exhausting. One of the really shocking things about Imposter Syndrome, is that the more successful you get, the worse the symptoms can become because the more you accomplish, the bigger of a fraud you feel. That’s how I felt for a years! The bigger the roles I got, the more money people paid me, the more responsibility I had - the more ill I felt inside because my failure would be more public, my humiliation would be to a larger audience, even more people I respected would finally see that all along, I had no idea what I was actually doing. Of course, nobody would ever have known that. I always described myself as ‘shiny on the outside, broken on the inside’ - does that resonate with you? I usually appeared to be the happiest person in room, always the life and soul of the party, always keen to please people, rarely stopping to think and ask myself what would make me happy. Wearing different masks and pleasing people seemed to be my purpose in life. But of course, that wasn’t sustainable. When I was finally told that I had Imposter Syndrome through a course at work (Top 20 Leaders - I thought I was on it by mistake or someone must have dropped out and that’s how I got a place…!) I cried. Not because I was mortified that I had it - but because I was relieved beyond belief. I wasn’t crazy. I wasn’t worthless. I just had a way of thinking that didn’t serve me well and there were things I could do about it. I also learned that I was in good company because many high performing people experience this - it’s actually part of why they’re so driven. Why I had it didn’t really matter, I could learn how to work with it and around it so it didn’t ever stop me being who I wanted to be and doing the things I wanted to do! Phew! 1.What does your inner critic say? Spend some time tuning into what you’re saying to yourself on a regular basis. What are the key themes that come up? Write them down, over the course of maybe a week or so and then read them back. I bet it’s not great reading. Who else would you speak to like that? There will be some common triggers, so find out what they are or who they are. Is it a place or a person? A particular task. Then just get curious about it, ask yourself why and what about that thing or place or person that crinkles you. Start taking the fear out of the situation by feeling it rather than avoiding it. 3.Challenge what you have uncovered! If you’re writing that you’re a rubbish Mummy then ask yourself if that’s really true and what evidence you have for that. If you keep saying to yourself that you’re bad at your job, again is that factual? Do you say you’re a hopeless partner and it’s a matter of time before your other half goes off and finds someone better? If so then check in on that, how you a great partner and you know you are worthy of this love in your life? Take the top few negative messages you say to yourself and commit to a positive replacement that you know to be true. For example as with the previous step, if you tell yourself constantly that you’re not worthy of the partner you have (or finding one), then replace this with, “I am a kind, loving and generous person and I often do things to show my partner they are loved.” Make this something that feels true to you and write it down somewhere you will see it regularly. Every time the negative voice pops in your head, then replace it with these new, empowering statements. Before you know it, you will have created a new recording, a new belief. Whether you tell a friend you trust what you’ve realised and what your working on, or you go big and hire yourself a Coach to help you rewire your brain - talk to someone. Also do other things for yourself to help accelerate your journey such as meditation, affirmations, getting active...they’re all great ways to help build your confidence. Make mastering your mindset your new mission and you will be astonished at the results. The more you focus on liking who you are, getting comfortable in your own skin, the less power your inner critic will have over you. Whilst there’s no magic bullet to make the issue disappear, with some practical steps and attention, you can take it from a scream to a whisper. Just think, if you’ve achieved everything you have so far with this voice telling you that you can’t, imagine what you will accomplish when you’re telling yourself that you can..?! Now, isn’t that just something to think about. The best is yet to come. 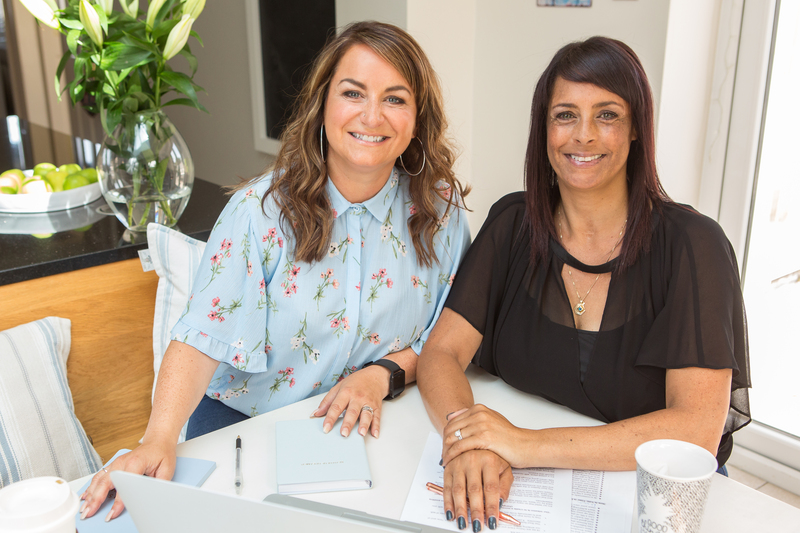 If you would like to know more about Coaching Programmes with Now Is Your Time, get in touch through hello@nowisyourtimeto.com and quote Maddi Alexander to request a free Discovery Call.